Characterised by a simplicity and functionality, clean lines and a crisp white finish, this range of stylish furniture is a great style choice for your bathroom. Marke: SEBSON. Diese schlichte LED Spiegelleuchte gibt ein angenehm natürliches Licht wieder. Sie blendet nicht, da sie mit einem Abtrahlwinkel von 110° nicht direkt nach vorne, sondern nach unten leuchtet. Bitte lesen Sie vor dem Kauf des Artikels "Laursen - Wandspiegel Spiegel (3186-25) Metall Schwarz Retro Vintage Industrial" die vollständige Artikelbeschreibung durch, um mehr über Zustand & Lieferumfang zu erfahren und um Fehlkäufe zu vermeiden!. 600 x 800mm (H x W). Illuminated Touch button Tested to 50,000 Cycles. 5mm Film Backed CE Safety Glass. 24 Month Warranty if installed as above. 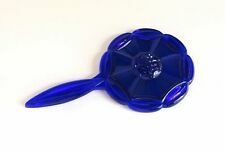 We will always help you to have a 100% positive happy buying experience. UVP 177,31 € - Helle TAGESLICHT LED`s ! Modell 2019 ! Simplehuman Illuminated Magnifying Stainless Steel Sensor LED Mirror - SALE!!! 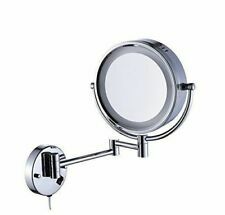 20cm sensor mirror & 20cm wall mount sensor mirror. The sensor light doesn't work and won't turn off/on automatically - you have to turn it on/off manually. Our sensor has multi-sense technology that adapts to your behaviour. 1- EDELSTAHL ROHRE. Ideal als Glas oder Platten Einfassprofil für z.B. Werbetafeln, Duschabtrennung, Trennwand etc. Muttern Nieten Scheiben. Muttern Nieten. 31- SCHRAUBEN MUTTERN. Gewindestangen Haken Ösen. 800 x 600mm (H x W). Illuminated Touch button Tested to 50,000 Cycles. 5mm Film Backed CE Safety Glass. 24 Month Warranty if installed as above. We will always help you to have a 100% positive happy buying experience. 700 x 500mm 80 LED Illuminated Bathroom Mirror Bluetooth Speakers, Demist & Shaver Point. 700 x 500mm (H x W). Bluetooth Speakers for Connection to MP3 Player or Phone. Illuminated Touch Button on Side Tested to 50,000 Cycles. DEUSENFELD WLED52 - LED Doppel Wand Kosmetikspiegel, 5-fach Normal, Ø20cm, Tageslicht LED Für Details bitte anklicken!. 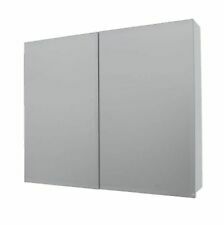 Straightforward to install, the mirror features a touch sensor on/off switch. Pick 'n' mix across our ranges to lift your bathroom into the present or take the plunge and give it a new face entirely. 600 x 800mm (H x W). Illuminated Touch button Tested to 50,000 Cycles. 5mm Film Backed CE Safety Glass. We plan to enlarge our range from week to week and will not list a product unless we have tested it and have full information about them for your information. The stylish touch sensor LED slim rectangular/round/trishaped mirror with demister and bluetooth technology, bring modern design and contemporary good looks to your bathroom. Bluetooth LED Bathroom Mirror with Demister. Chelsom Illuminated Oval Mirror. Magnified and Lighted. Quality Made Bathroom Mirror. Must be fitted by an Electrician. mounted on adjustable arm with variable direction joint. simplehuman's clever mini sensor mirror lights up automatically as your face approaches. Its tru-lux light system simulates natural sunlight, allowing you to see full color variation, so you'll know when your makeup is color-correct and flawless. And unlike traditional bulbs or fluorescent lighting, the long-lasting LEDs won't burn out or diminish - even if you were to use the mirror for over an hour a day for 150 years. It's distortion-free with 10x magnification, so it's ideal for close-up work like tweezing or eyeliner and lipstick application. 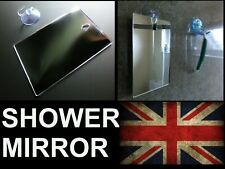 The mirror recharges with a standard USB port (cable included). IP44 rated suitable for zone 1 of a bathroom (where the circuit is protected by a 30Ma RCD). OUR LAST AURORA LED AU-BLL853SC ILLUMINATED MIRROR CABINET. 3 adjustable height glass shelves. The brilliantly illuminated Athena acts as a stunning centrepiece for any bathroom, and envious eyes will all be drawn to this beautiful mirror. Other useful features include a demister pad to rid the glass of steam and a motion sensor switch. Overall 60cm H x 105cm W x 4cm D. The mirror is a rectangular shape and can be horizontal, and the led lighting illuminates around the bezel. 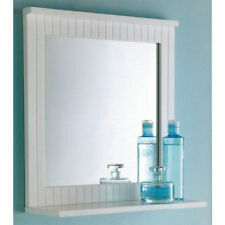 This mirror is a modern design with practical functionality and will suit any bathroom decor. 500 x 700mm (H x W). Illuminated Touch button Tested to 50,000 Cycles. 5mm Film Backed CE Safety Glass. We plan to enlarge our range from week to week and will not list a product unless we have tested it and have full information about them for your information. 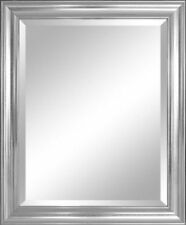 Nothing else says quality in the bathroom than a ultra-sheen stainless steel mirror bathroom cabinet, and this piece from the Vasari range screams quality at every turn. From the safety glazed mirrors to its fantastic storage capacity, this piece is a big old unit but remains lightweight, and is able to store plenty of toiletries and other bits and bobs. It is supplied pre-assembled too, so installation time and hassle is minimised. It is the clean, minimalist design that is the most eye-catching, with the opening mechanism both discreet yet perfectly functional. So, when you need a decent amount of storage space to hide your bottles, pots and potions behind, this bathroom cabinet from Vasari is sure to be a winner in your home. Product information: • Supplied . DEUSENFELD SL52TB - LED Batterie Doppel Stand Kosmetikspiegel "2 TOUCH", 5-Fach Normal, Ø 17,5cm, chrom Für Details bitte klicken. 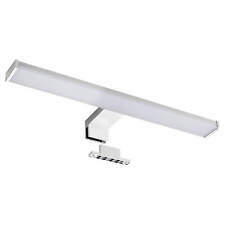 Beurer BS89 Illuminated Wall-Mounted LED Cosmetics Mirror 5 x Magnification 36 Ultra Bright LEDs Wall-mounted mirror with extra-bright LED light Simply perfect for a small bathroom - the cosmetics mirror with extra-bright light for the wall! 36 LEDs provide extra-bright light and the 5x magnification shows every detail. HIB ALPINE 60 ILLUMINATED MIRROR. These mirrors have a decorative mirror profile that reflects the wall/tile, so the mirror matches the style of your bathroom. Light adjusting touch switch, press the button to turn on & off or hold to select color temperature. Condition is New. Fitting instructions are included with each mirror. LED Illuminated Bathroom Mirror. Mirror operated with mains connection. Easy installation with fitting instructions. Rocker switch. Take a different stance with your bathroom furniture and incorporate a few curved edges into a world full of straight lines and crisp finishes. This stylish oval mirror conceals a small storage area behind it, ideal for discretely holding your medicines, cosmetics, feminine products or anything else that needs tidying away in order to keep your bathroom neat and organised. While the small cabinet is perfect for cramped bathroom areas, the slimline oval design of the mirror gives you a much larger view of your reflection, allowing you to assess your face alongside your outfit, which is sure to please fashion lovers and business people alike. The mirrored door is slightly larger than the cabinet behind it and shuts with a magnetic catch, so that you can grip the back of the door to . Aufbau: Badschrank mit 4 äußeren Seitenfächern und 2 Fächern hinter der Spiegeltür - Viel Stauraum. Der weiße Spiegelschrank bietet mit seinen insgesamt 6 Fächern sehr viel Stauraum für Badutensilien wie Zahnbürste und Co.